Michael Jackson (born August 29, 1958 in Gary, Indiana, died June 25, 2009 in Los Angeles) – American musician, dancer, composer, songwriter, whose career and personal life have become an important part of the pop culture of the last four decades. Known as one of the best performers of pop music and one of the most popular musicians in history, called the “King of Pop”. It is the seventh of nine children of Katherine and Joe Jackson. On stage debut in 1964 in the band Jackson 5, starring his older brothers Jackie, Tito, Jermaine and Marlon. “In the years 1965-1968 the band Jackson won numerous competitions for young talents and gave the first two singles “Big Boy” and “We Don”t Have To Be Over 21″. Signed in 1968 by the Jackson Five recording contract with the prestigious label Motown resulted in the release of the single “I Want You Back” (1969), which reached the Billboard top spot. Thanks to Michael became the youngest artist in history, the song topped the regarded as the most important in the US charts. In 1971, Motown released his first solo single, Michael – “Got To Be There,” which quickly entered the top five of Billboard. The Motown Jackson recorded his first studio albums, including “Got To Be There” (1972), “Ben” (1972) and “Forever Michael” (1975). Since 1976, the brothers The Jacksons changed the label and the band’s name to The Jacksons. The group increased by youngest brother – Randy. In 1978 Michael made his debut as an actor. At the side of Diana Ross he appeared in the musical “The Wiz,” directed by Sidney Lumet. A year later Epic label released his first solo album already an adult Michael – “Off The Wall”. With this album, Michael became the first artist in music history, who has put up four singles from one album in the top ten of Billboard. The success also proved to be Jackson’s next album “Thriller” (1982), which had spread in the number of 51 million copies worldwide. On the album, the artist created his famous dance step “moonwalk”, for which he reportedly received congratulations from the Fred Astaire. In 1985, Michael and Lionel Ritchie and Quincy Jones prepared the song “We Are The World”. Her recordings invited many stars of music (including Ray Charles, Bruce Springsteen, Willie Nelson). The song was signed nave USA For Africa, and the proceeds from its sale has been designed to help the starving people of Africa. Released as a single the song was on the first statement of “Billboard”. In 1987, Jackson released the album “Bad” which lasted two years production engulfed $ 2,000,000. 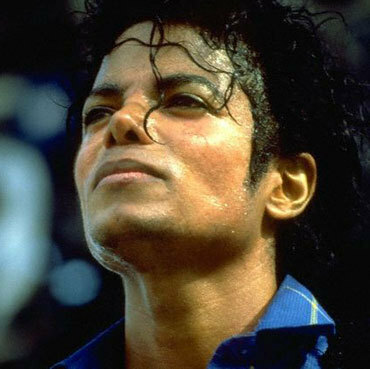 >The album included such hits as the title “Bad”, “The Way You Make Me Feel” and “Dirty Diana”. The album sold 26 million copies. Production of Jackson’s next album, “Dangerous” (1991), swallowed up $ 10 million. Associated with the promotion board tour lasted 2 years. In 1993, Jackson received an honorary Grammy “Living Legend”. In 1995, the artist released another album “HIStory”. As part of its promotion among Jackson He visited Poland (1996). His concert in Warsaw was watched by 120 thousand. viewers. In 1997, Jackson declared its desire to build an amusement park in Warsaw, Poland because, he said, is one of the most inspiring country I’ve ever visited. Jackson from the beginning of his career was accompanied by a large media interest. Written about his alleged affair with actress Brooke Shields and marriages to Lisa Marie Presley (divorce in 1996, after 2 years of relationship) and nurse Debbie Rowe (divorce in 1999, after 3 years of marriage), with whom he has two children, 6-year-old Prince and 5-year-old Paris. 10 years ago, the singer was accused of sexually molesting 13-year-old Jordan Chandler. Party reached an agreement a year later, when Jackson paid the boy requested $ 20 million. In December 1997, he appeared on video the 40-minute musical film “Ghosts” (dir. Stan Winston, based on a story created by Stephen King and Michael Jackson), who had at the Cannes Film Festival received critical acclaim. Michael starred in it until five roles. In 2001 he released the album “Invincible.” >Recording costs more than $ 20 million, and in studio were 16 well-known artist, and many invited guests. Finally, on board were 16 recordings and in their uprising had its share among Walter Afanasieff, Babyface, Carole Bayer Sager, Boyz II Men, Donald, Dr. Freeze, Emilio Estefan, Jr., rapper Fats, David Foster, Dave “Jam” Hall, Rodney Jerkins, R. Kelly (as a producer and writer of the song “Cry”), Missy Elliott, Teddy Riley, Carlos Santana, rapper Sisqo, Will Smith and Robin Thicke. June 13, 2002 Michael Jackson, Sting, Barry Manilow, Randy Newman, Valerie Simpson Nickolas Ashford and were ushered into the Salon of Fame Composers (Songwriters Hall Of Fame). November 19, 2002 Michael Jackson showed up in the window of an apartment on the 5th floor of the Hotel Adlon in Brelinie and staged outside the window sill of his 9-month-old son, Prince Michael II. November 20, 2003 in Santa Barbara, Michael Jackson was formally charged with sexual abuse of a minor. >After paying $ 3 million bail he was released. >For acts for which the defendant was the singer could face up to 8 years in prison. June 13, 2005 the Court in Santa Maria acquitted Michael Jackson of all 10 charges against him, including sexual abuse of a minor boy. “>The jury deliberated more than a week, and their decision was unanimous. Losing popularity star, who also fell into financial trouble, he left in 2005 to Bahrain, where he was a guest of Sheikh Abdullah. From July 13, 2009, Jackson was to begin a series of 50 concerts in London. According to the website of the artist tickets for all concerts were sold out. At 25 June 2009 Jackson lost consciousness at his home in Los Angeles on Thursday at approx. 13.30 US time. >When the ambulance arrived, he was not breathing and showed symptoms of a heart attack. >In the hospital of the University of California (UCLA Medical Center) have not been able to wake him from a coma. Death was found about 15 minutes after midnight from Thursday to Friday (25/26 June), Polish time. The biggest achievements of Michael may include an amazing approach to music videos and market dominance of pop music in the 80s popularized a complex dance moves such as the moonwalk and the robot dance.